What are the Main Types of uPVC Double Glazing Windows? What are the Main Types of uPVC Double Glazing Windows? What are the Main Types of uPVC Double Glazing Windows? What types of double glazing windows can I choose from? The windows that you have installed on your home will not only have an effect on its beauty but will also make a difference to the value of your property as well. In fact, the type of windows your home has fitted could be the deciding factor for a potential buyer. Especially if it is someone who is looking for something that is “ready to go” and requires little, or no renovation work doing to it. There is little doubt that the most popular types of windows in the UK are uPVC double glazed windows. This is mainly down to a combination of uPVC looking good, being durable, requiring little maintenance and offering great energy efficiency (they keep the heat in and the cold out). Deciding to get uPVC windows for your home is just the start though, as you then have to decide on which of the many types to use for each room as well as the frame colours and the type of glass to use as well. This short guide will hopefully be able to help you to understand the different choices that you have when it comes to uPVC double glazing. If you have an area or room in your home that is already well ventilated, fixed windows might be a good option. These cannot be opened and are used mainly to let in some natural light. Casement windows are the type that open outwards in the same way that a door might. Usually there are two on opposites sides of the frame. This type of window is a good alternative for sash windows that might not be easily reached and opened. Gliding and sliding windows work very similar to that of sliding patio doors. They move from side to side and sit behind another pane. These types of windows work best in small rooms with limited space but as only one side of the window can be open at any one time, they do not allow the same sort of airflow. Awning windows have their hinges at the top of the frame and open outwards. This type of uPVC double glazed window is great at letting the light in and also works very well in limited spaces as they can be opened easily from the bottom. “Windowscapes” are certainly among the most expensive options when it comes to double glazing. This is because they run right across the entire wall of a building. While they might cost a lot, these windows are great at letting in huge amounts of natural light and on properties with stunning exterior views these are the windows to have. Hung windows are the types that slide up and down. Single hung means only one pane can slide while double hung allows both panes in the frame to be moved. This type of vertical sliding panel is found most often in a design called Sash or Box Sash windows. A Bay or a Bow window is a popular choice for any property that has an alcove in one of the main rooms on the front. Bay window designs generally have 3 faces, a wide front and 2 short sides. Bow windows are curved with typically 5 facets. Both are “projecting” window styles. Frequently they are the central point for many Victorian or Edwardian period style homes. If you are looking for easy to clean windows then rotating or tilt & turn design might be the best option. Rotating styles usually work on a central pivot and can be rotated in any direction to be opened. Tilting windows have specialised hinges in the frames that allow it to be opened inwards similar to a normal window, but also has a mechanism to tilt the window backward into the room. The amount of tilt is limited mechanically for safety reasons. Once you have decided upon the types of uPVC double glazing windows you want in your home, you then have to decide upon the colours of the frames and the type of glass to be used. You could go for the standard white or could instead make use of many different colours for your frames. 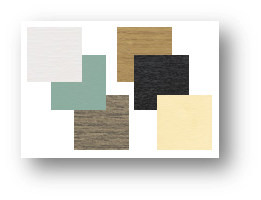 There are a variety of colours to choose from and also a number of different wood colour finishes to go for as well. As for the glass, you could opt for your standard types or instead go for options that offer more tinted or privacy such as bevelled glass. What are the costs involved in buying uPVC Windows? The cost of uPVC double glazing windows will vary depending on numerous factors. The number and size of each window as well as the type of frames, window types and what glass is used will all be a determining factor. You then have to take into consideration the installation costs as well. As a general rule of thumb, standard sized (up to 1200mm wide x 1200mm high), double glazed uPVC windows are likely to set you back about £340 to £400 per window. 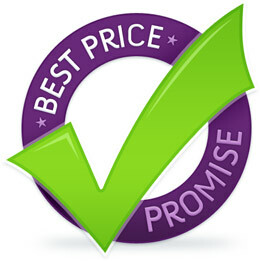 This price will increase if you opt for a more extravagant window type, such as French windows. 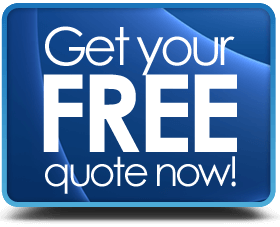 What you should note, however, is that you will normally get a 10+ year guarantee on uPVC windows. As you can see, there is plenty to consider once you do decide to improve the aesthetics and value of your home with some new uPVC double glazed windows. However, once you have thought about it properly and had them installed, you will quickly see that it was a decision you are not likely to regret. Are UPVC Tilt and Turn Windows Worth Buying? Why Buy Contemporary uPVC Sash Windows? Casement Windows and Sash Windows, which is better? Why Buy Flush Fitting Casement Windows? Casement or Bifold Windows for a Kitchen? 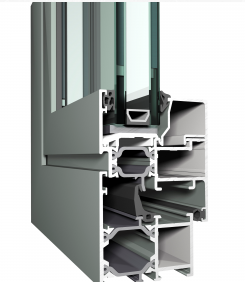 What is the Difference Between Aluminium, Timber & UPVC Windows? How Much do French Windows Cost?